Only 8% of people achieve their New Year resolutions. A staggering 92% of Americans fail to achieve what they set out to do at the beginning of the year. People who create New Year solutions every year are 10 times more likely to achieve their goals than those who do nothing. It’s time to set some goals people! 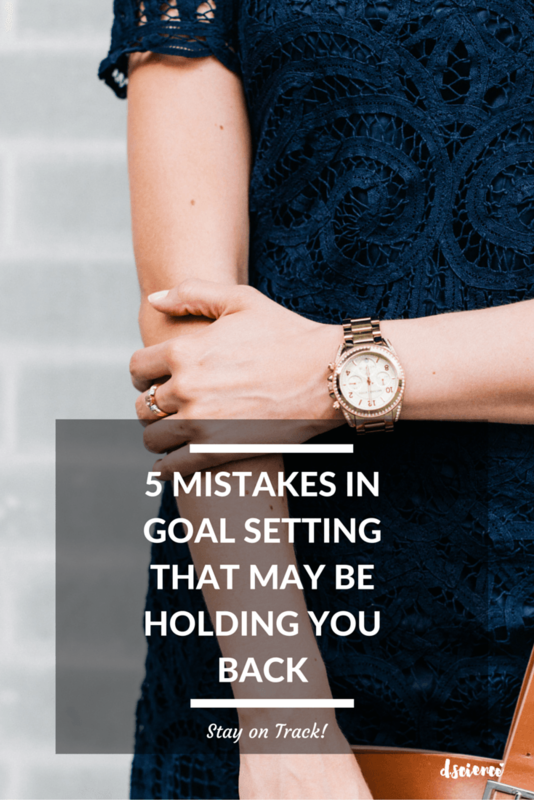 Below are five really common mistakes that are super easy to overcome. Let’s make 2014 a year of unshakable success! We all know the common resolutions approaching the New Year: “I want to lose weight,” “I want to stay fit and healthy” or “I desire to make more money.” Many stem around losing weight, being healthy and living a balanced life. On first sight, these seem reasonable but a generic goal is self-sabotaging. Everyone has the ability to create EXACTLY what they desire. Having specific goals provides the gift of clarity. Specific attainable goals are: “I want to lose 10lbs,” “I desire to work out 3 times/ week and eat more vegetables,” or “I desire to increase my active income by $3,000 every month.” These desires give the dreamer the opportunity to design their life with definite terms. People with clear goals are able to track their progress and refine as needed. Many people allow their intentions to just kick around in their heads. Individuals that write their goals down on paper are 50% more likely to achieve them, than those who leave them in the mind. Written objectives show a higher level of commitment with a corresponding rate of success. Remember the power of autosuggestion and write goals in the present tense. This suggests rapid completion of an objective to the brain and increases the likelihood of success. Some people set goals out of a feeling of obligation. “I should lose weight” or “I should be more healthy.” Successful people spend time tapping into the deeper reason about WHY they are motivated to accomplish their goals. Adding emotions from the heart, such as joy and enthusiasm into goal setting gives them added power for success. Becoming emotionally invested in a goal will remind the individual why they are at the gym in March at 5am. It’s not enough to just set goals. Successful people set goals, and then create action steps and strategies to implement their objectives on a daily basis. Design a goal and write steps that can be taken today. Have checkpoints set up for one week, two weeks, one month and two months to continue taking steps to accomplish the goals. Explain chief aims and timelines to close friends, family or business partners. Friends will remind the driven goal setter of his or her aims. This keeps goals on track. Send accountability partners a weekly progress report in an email for best results. Success breeds more success. Weekly reports remind the individual of all the items and habits that are being completed successfully. Effective Goal Setting has Positive Influence in other Areas of Your Life! Taking the initiative to create and complete daily tasks to achieve objectives will leave you feeling accomplished and successful every day! Feel more organized and spend more time doing what you love and with the people you admire. You’ll find that you are ACTUALLY achieving your goals while feeling relaxed, focused and productive. You can even make more money! A Harvard research study said that people that set and accomplish goals regularly make over ten times more money than those who do not set goals. Begin the New Year with Unshakable Success! We desire to help you commit to your chief objectives for the New Year on paper and with a definite plan to achieve them. Below we have included a workbook to serve as a guide for setting and achieving personal and business goals. Enjoy the New Year with the feeling of success! What are your top goals? Please comment below!